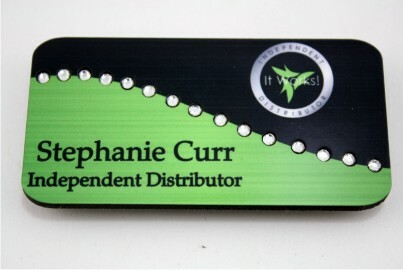 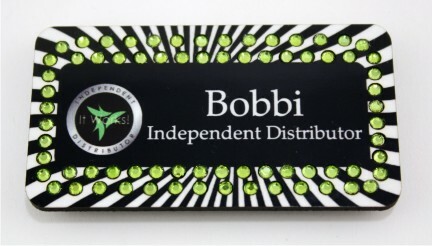 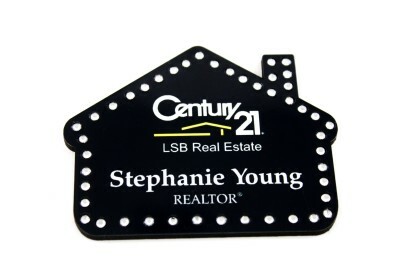 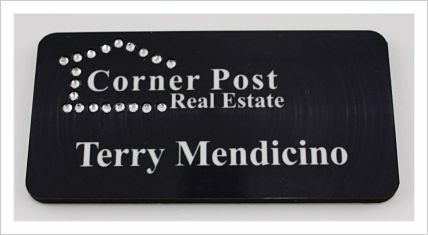 Order today and you will receive a proof to review of your Bling Name Badge within 72 business hours! 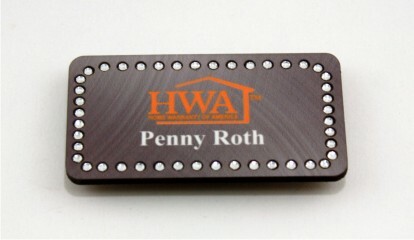 HWA Brush Grey Bling Name Badge Clear Stones with magnet back. 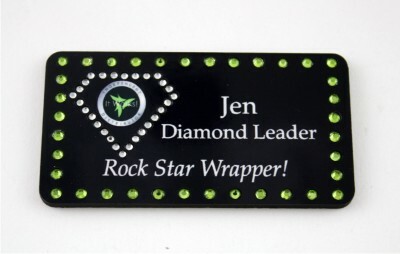 One diamond with green stones and clear stones along with magnet backing. 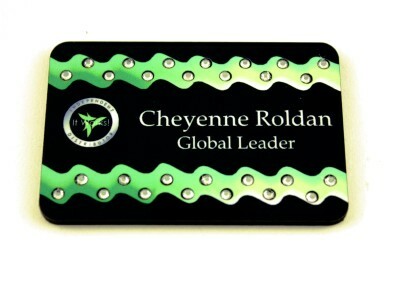 Wave of Green with green stones and magnet backing.